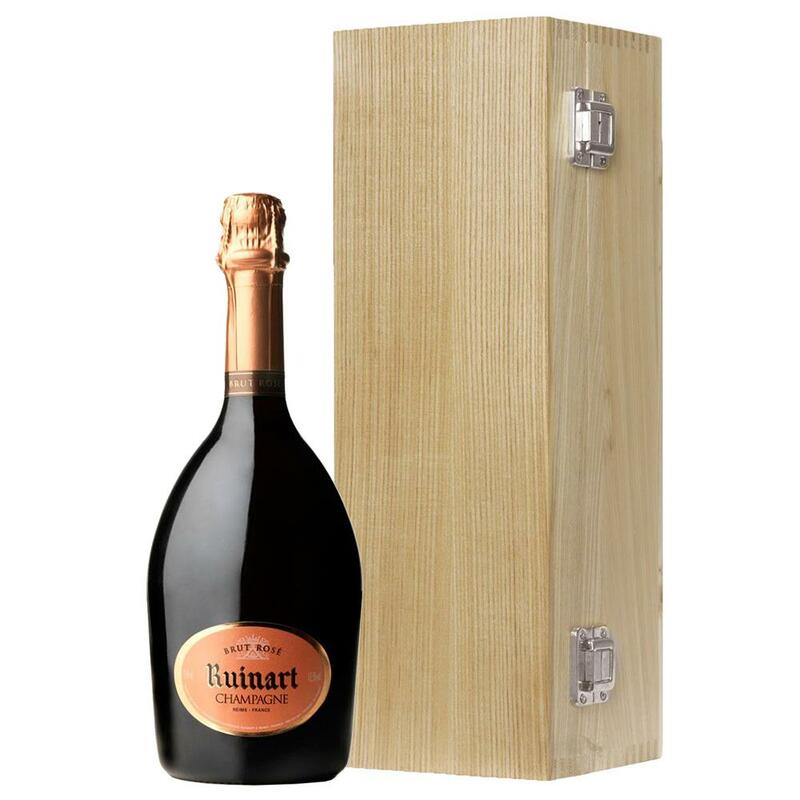 Ruinart Rose Champagne 75cl presented in a beautifully crafted oak stained wood case, complemented with stainless steel silver hinges and clasp. The case is elegantly lined in gunmetal grey satin, adding the wow factor to any bottle of champagne. Send a bottle of Ruinart Rose Champagne 75cl for any occasion - Why not make it a gift set and add some more options under the price and we will pack them all together as one gift for you! 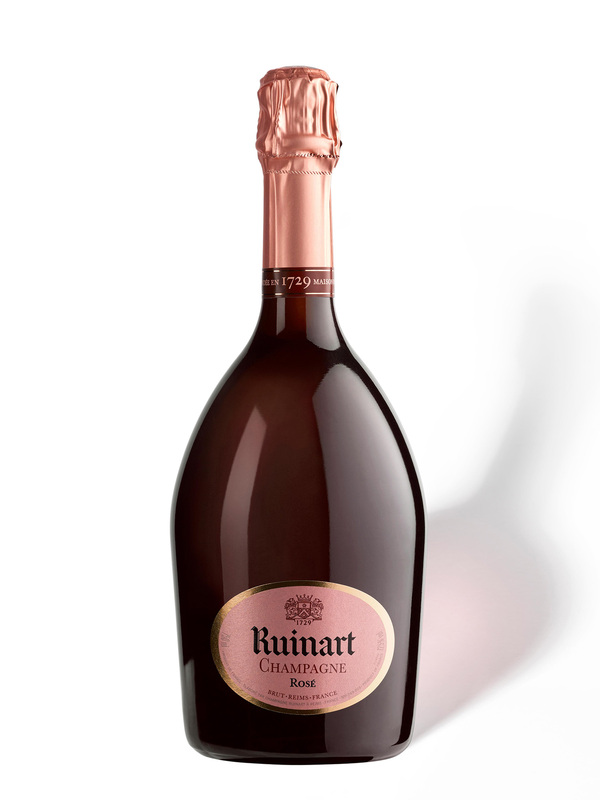 Ruinart Rose Champagne - The high concentration of Chardonnay in Ruinarts Ros affords a great deal more structure to this Champagne than is the case in many ross. Chardonnay tends to lend a longer ageing profile to the wine, meaning that this Champagne will happily cellar for 10 years or more. 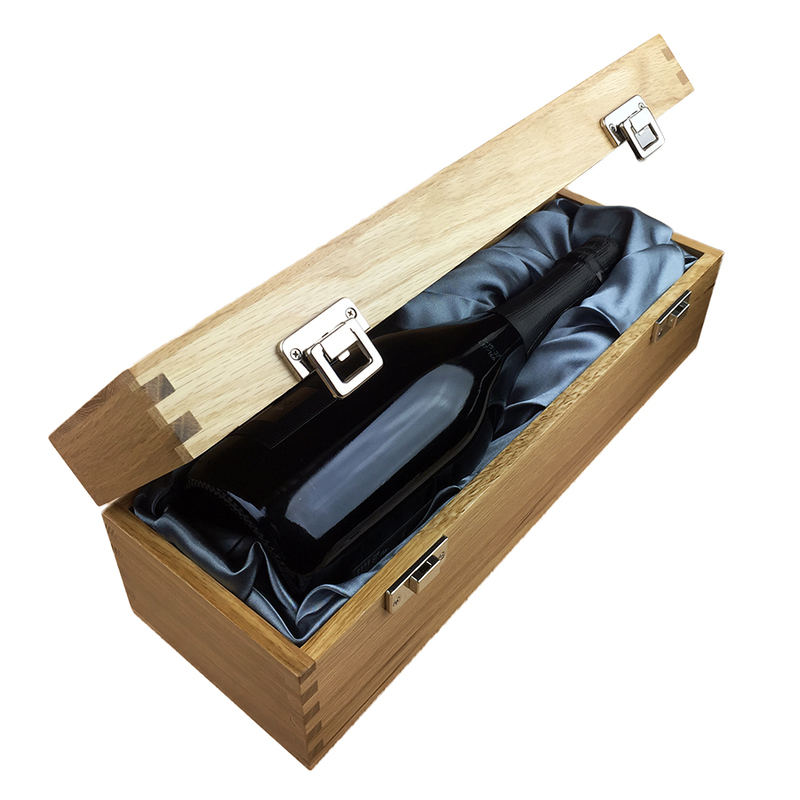 This product is hand packed onsite by Gifts International, and is not affiliated with any other brand. Gifts International is responsible for this product combination/set.